At least 14 deaths from the storm have been confirmed, including a man and a woman in Houry County who died from carbon monoxide poisoning. Florence was downgraded to a tropical depression overnight, with sustained winds of 35 mph. Swansboro, North Carolina, has now received more than 30 inches of rain; several other have received more than 20 inches. Florence is causing flash flooding and major river flooding over a “significant portion” of North and South Carolina, the National Hurricane Center (NHC) said. 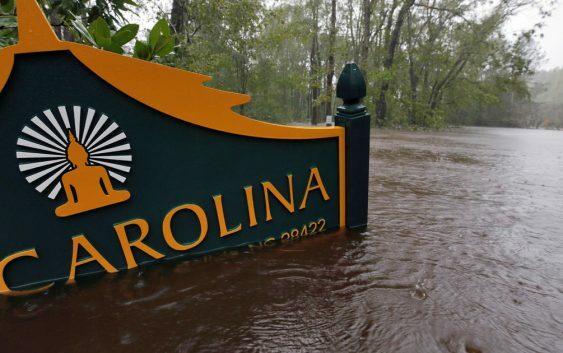 Water levels along the North and South Carolina coasts are gradually receding as of Saturday night, the National Hurricane Center said. Nearly 1 million homes and businesses lost power in North and South Carolina. A couple of tornadoes are still possible through Sunday in North Carolina and northeastern South Carolina, the NHC said. 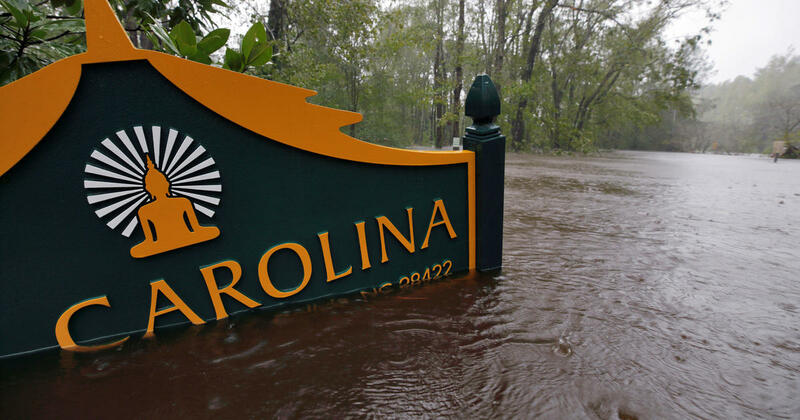 NEW BERN, N.C. — As the death toll from Florence mounted and hundreds of people were pulled from flooded homes, North Carolina is bracing for what could be the next stage of a still-unfolding disaster: widespread, catastrophic river flooding. The death toll from the hurricane-turned-tropical depression climbed to 14. Already, more than 2 feet of rain has fallen in places, and forecasters saying there could be an additional 1½ feet before Sunday is out. As of 5 a.m., Florence was centered about 20 miles southwest of Columbia, South Carolina, crawling west at 8 mph. Its winds were down to 35 mph. The warning from South Santee River, South Carolina, to Surf City, North Carolina, has been discontinued, according to the NHC. to 20 inches in western North Carolina. Southern North Carolina into Northern South Carolina: An additional 4 to 6 inches, 8 inches in isolated spots. West-central Virginia into far eastern West Virginia, north of Roanoke and west of Charlottesville: 2 to 4 inches, isolated 6 inches..